VISION: Jimmy is the long‐term visionary for the dream team assembled at the thriving Lafayette franchise of TeamLogic IT. In this fast‐paced industry, his ability to change gears quickly and often provides a platform for handling every situation that arises. Jimmy has transcended the typical stereotype that comes with most IT firms … he communicates clearly and honestly with the gift of customer service that keeps customers engaged in the TeamLogic IT vision. Jimmy’s energy, competitive nature to be the best, innovative approach to solving problems, humor, time management skills, and ability to provide a healthy learning environment for his team and customers is the main reason why they consistently rank in the Top 5 franchises nationwide as well as Top in every “Best Of” local poll. RELEVANT EXPERIENCE: With 20+ years’ experience as a PC Tech, Jimmy was in‐house Network administrator for a multi‐location law firm where he specialized in: building, managing, and maintaining the networks ‐‐ a constant on VPN connection, dial‐in VPN access, and email services for all three locations, as well as purchasing, managing, and maintaining all servers, workstations, laptops, portable devices, network devices, printers, copiers, faxes, and telephone systems. This vast experience has made him a sought‐after technology problem solver and solution provider for his clients. One of his greatest assets is effectively communicating technology to his customers in laymen’s terms. ADDITIONAL EXPERIENCE: Prior to TeamLogic IT, Jimmy owned and operated a printing company, a building maintenance company and a lawn service. He has held positions in office management, inside sales, outside sales, graphics design, accounting, and in‐house IT. 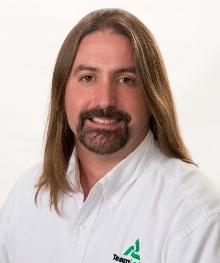 PROFESSIONAL ACTIVITIES: As a member of Business Networking International (BNI), Jimmy has served as President, Vice President, Secretary Treasurer, Membership Committee, Mentor Coordinator, Visitor Host, Web Coordinator, and Acadiana Area Ambassador. He holds current membership in the Lafayette, Iberia, St. Landry and Vermilion Chambers of Commerce. Jimmy is a member of the MSP (Managed Service Provider) Alliance and is a current member of several other professional associations. INTERESTS: When Jimmy is not at work, he enjoys motorcycle travel, competitive shooting, and jigsaw puzzles (models, 3D, and lego bricks which are displayed throughout his office). He is married to Sarah, and they live in the country with more than 25 pets. EDUCATION: Jimmy holds numerous certifications from CompTIA (Computing Technology Industry Association), ETA‐International (Electronics Technicians Association), Microsoft and Dell. He attended UL‐Lafayette in the Electrical Engineering‐Computer Option program and is a graduate of both Louisiana Technical College and Comeaux High School. Jimmy keeps current with the industry by attending regular conferences throughout the country.